"A Traditional Irish Pub in Doolin, Co. Clare"
McDermotts Pub in Doolin is a traditional Irish pub on Ireland's Wild Atlantic way. 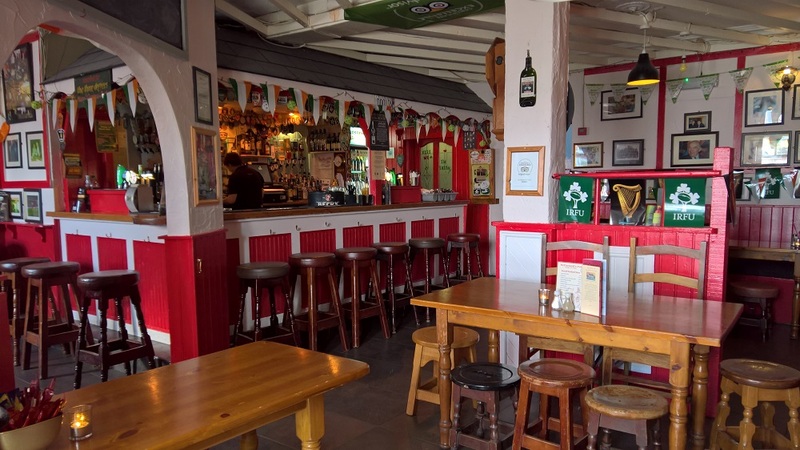 We serve bar food daily from 1pm to 9.30pm and have traditional Irish music nightly with some of the finest musicians in Ireland. We serve all the popular brands of beer, stout, cider and Irish whiskey. 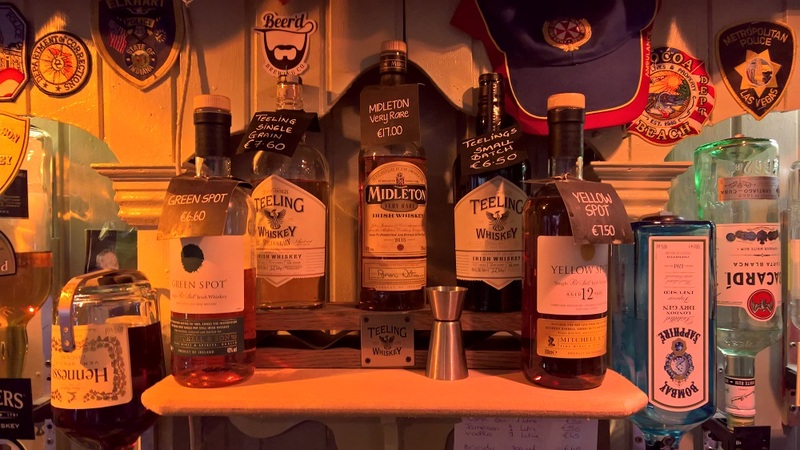 We also have some Irish Craft Beers and a select range of specialist Irish Whiskeys and wine tasting for you to try on your visit to McDermotts. Also available are soft-drinks, juices, tea's and coffees. 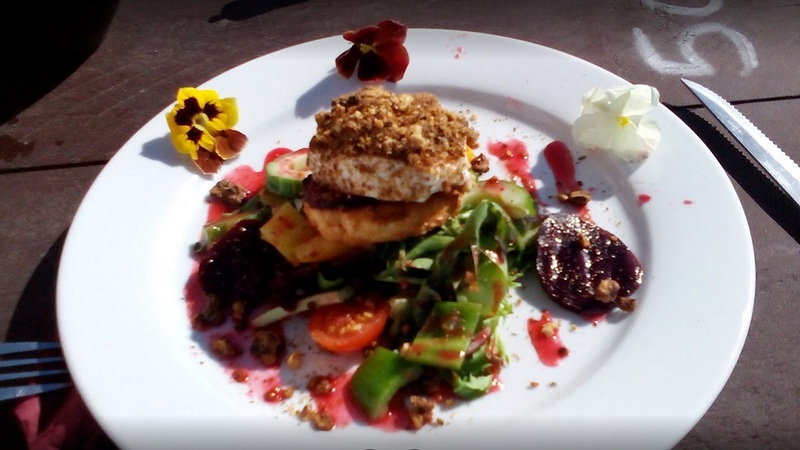 If you're looking for a place to eat in Doolin, look no further. We serve food daily at McDermotts in Doolin from 1pm to 9.30pm. 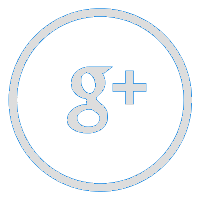 So come in, grab a table and check out our menu and daily specials. Kids menu and vegetarian options are also available. We also cater for parties and events here at McDermotts. Birthday parties, anniversaries and any other reason you can think of to celebrate, just give us a call and we will be happy to accommodate you and your group. 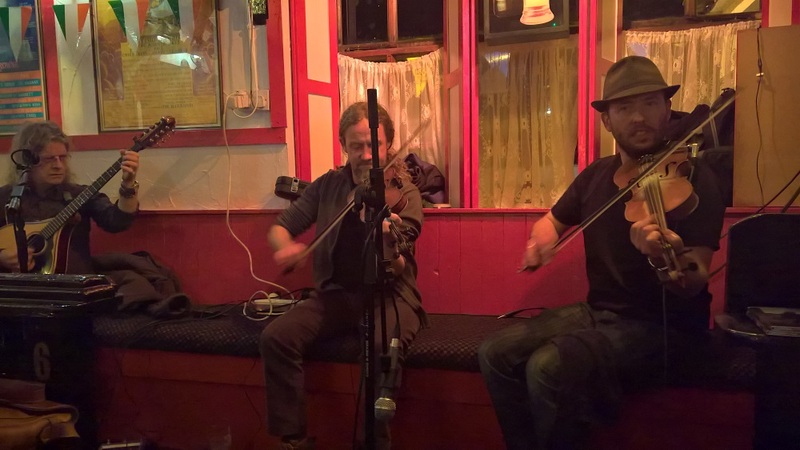 Traditional Irish music has a home in Doolin and none more so than in McDermotts Pub. 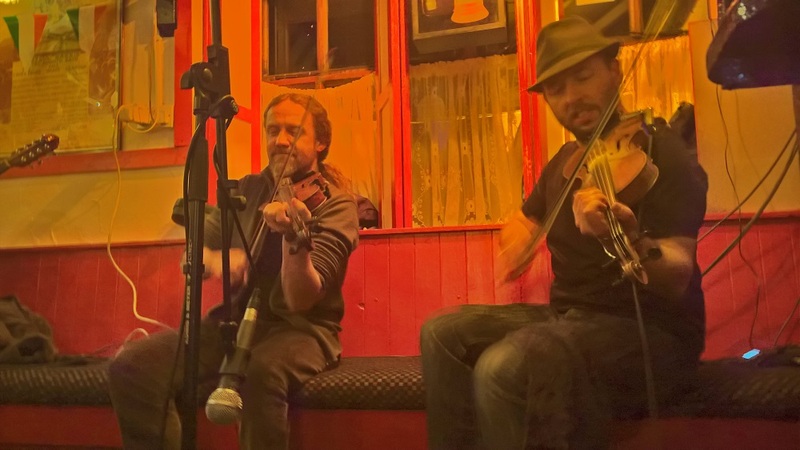 We have some of the finest musicians in the world on our doorstep in Doolin, many of which are regulars in McDermotts. 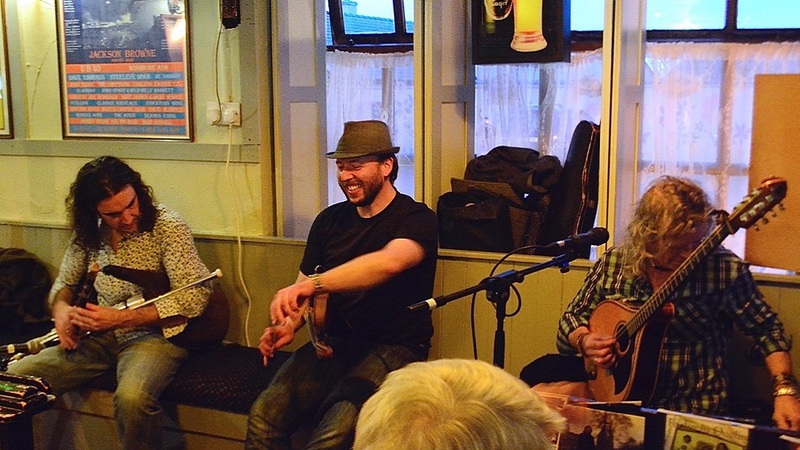 Irish music sessions are held nightly here from 9pm where you can enjoy the live traditional music. 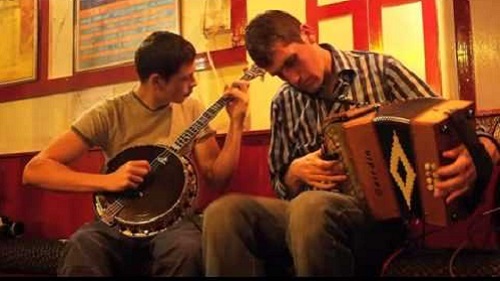 Dubhlinn features Blackie O'Connell on uilleann pipes, Cyril O'Donoghue on bouzouki and Eoghan Neff on fiddle. Regularly featuring in McDermotts on Monday & Wednesday nights from 9.30pm. Tola Custy is well known fiddle player from Toonagh in Co. Clare. He has shared the stage with many fine musicians around Europe and often entertains us here at McDermotts. Mark Burke on the accordian and Anthony Devitt with his banjo regularly visit here to McDermott's Pub, Doolin, County Clare. 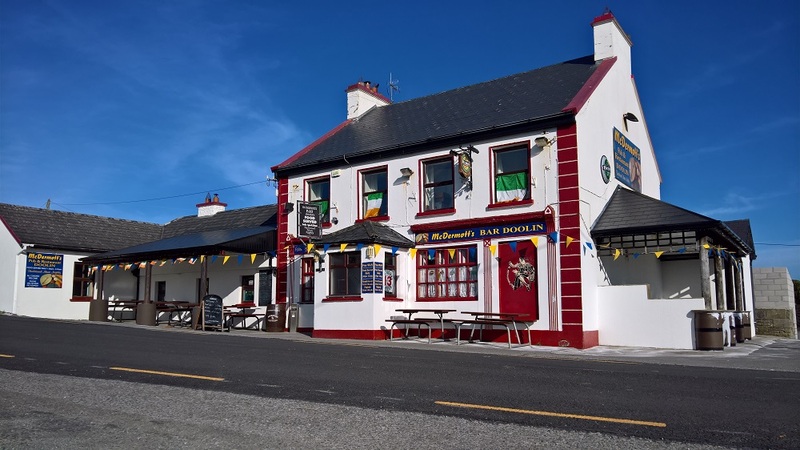 McDermotts Pub in Doolin is a traditional Irish pub on Ireland's Wild Atlantic way. 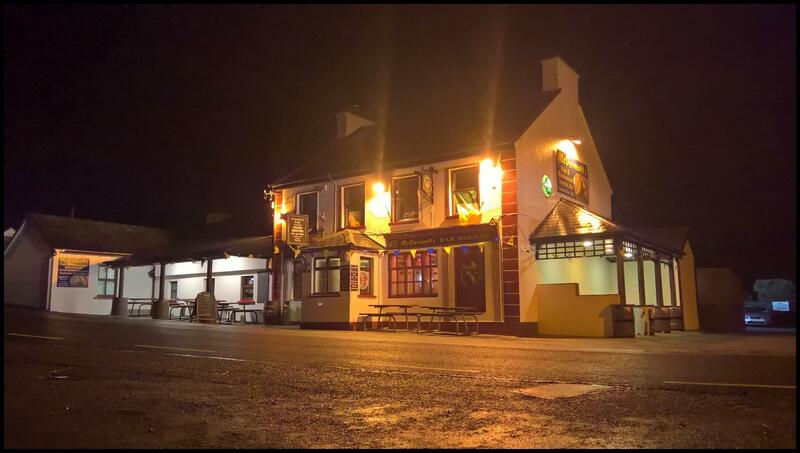 We serve bar food daily from 1pm to 9.30pm and have traditional Irish music nightly with some of the finest musicians in Ireland. McDermotts Pub is owned and run by Patsy & Steven McDermott and the pub has been in the family for four generations. 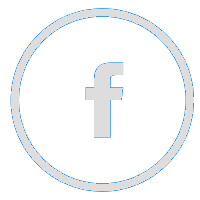 Our friendly staff will give you a warm welcome to Doolin and if you need anything while you are here they will be happy to help. "Come in for a Pint, Stay for The Session"